Find out how to get the Kris Jenner earlobe fix – quick visit with no downtime. As Kris Jenner finds on Keeping up with the Kardashians, elongated earlobes are a common problem as we age. Fortunately, this is an issue which can be easily addressed in a simple office procedure. 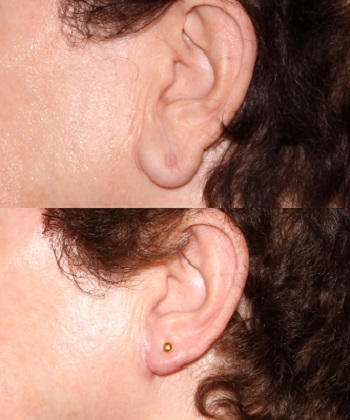 Our before and after pictures show how droopy earlobes can be tightened and resized with no scarring, leaving earlobes ready to show off earrings in just a few weeks. 74 year old before and 8 weeks after earlobe reduction. 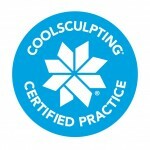 *Results may vary and specific results are not guaranteed.